WHERE CAN I PURCHASE ITEMS FROM THE SHAH LUXURY COLLECTION? 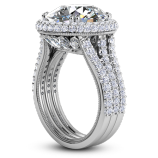 SHAH Luxury jewelry and diamonds are available at any of our authorized Retail Partners throughout the United States. Our Retail Partner locator on this site will assist you in finding a dealer closest to you. HOW CAN I GET INFORMATION ON ANY OF THE SHAH LUXURY PRODUCTS? Any and all information regarding The SHAH Luxury Collection is available through any of our authorized Retail Partners. To locate a Retail Partner near you, please visit our online RETAIL PARTNER LOCATOR. 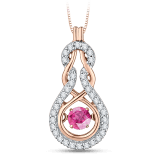 THE JEWELRY STORE NEAR ME DOES NOT CARRY THE PIECE THAT I AM INTERESTED IN-WHAT SHOULD I DO? 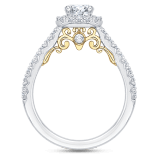 DO ALL SHAH LUXURY ENGAGEMENT RINGS COME WITH MATCHING WEDDING BANDS? 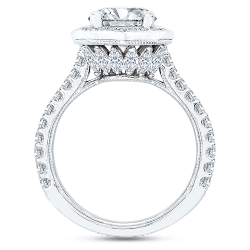 All of our engagement rings are designed with a corresponding band that matches seamlessly. WHAT PRECIOUS METALS ARE AVAILABLE? 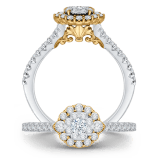 The SHAH Luxury Collection is available in a vast array of metals ranging from 10K, 14K, 18K and Platinum. All gold product is available in white, yellow and pink colors. IS IT POSSIBLE TO CHANGE, MODIFY OR RE-DESIGN ANY OF THE SHAH LUXURY ITEMS? Customer satisfaction is always our highest priority. Our team of designers will always welcome any and all personal requests. We have an entire department dedicated to the "Designer In You". Modifications of existing pieces for specific size requests and or stone size variations are an essential part of our day to day business. For specific information regarding any type of customization, please contact any one of our Retail Partners. NOW THAT I ACQUIRED A FINE JEWELRY PIECE-HOW DO I MAINTAIN IT? 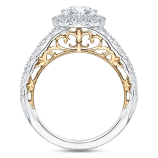 All fine jewelry and rings in particular, should include twice-yearly visits to your jeweler, who can check the integrity of the prongs and other components. This in most cases requires professional cleaning-a bonus for you. The jeweler will check to make sure that all your diamonds and other stones are tight in their settings-avoiding the possibility of a stone getting dislodged and lost. Consider seeing your jeweler as often as you see your dentist for check-ups and cleanings.